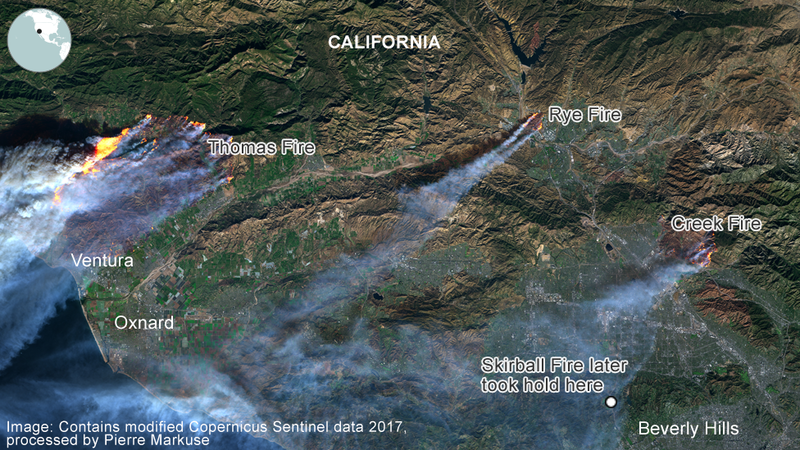 Thousands of people living in California have been forced to flee their homes after a number of wildfires took hold around Los Angeles. Six large wildfires, and other smaller blazes, have erupted since Monday. About 500 buildings have been destroyed. 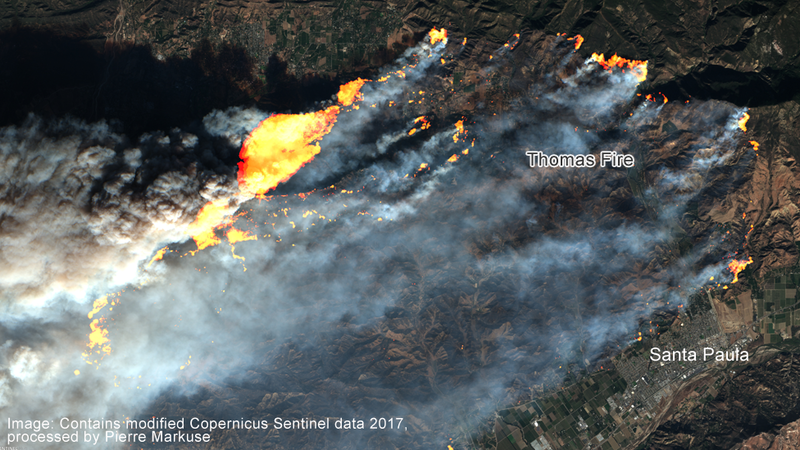 Satellite imagery taken on 5 December shows how the fires took hold - driven by extreme weather, including low humidity, high winds and parched ground. About 5,700 firefighters have been battling the brushfires, officials said on Thursday, with many drafted in from neighbouring states to help. 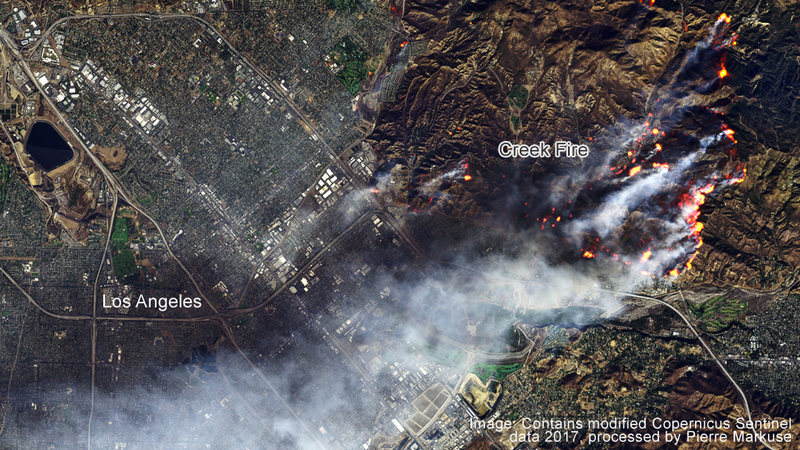 Another blaze north of Los Angeles, the Creek fire, is 20% under control and covers some 15,323 acres (62 sq km). 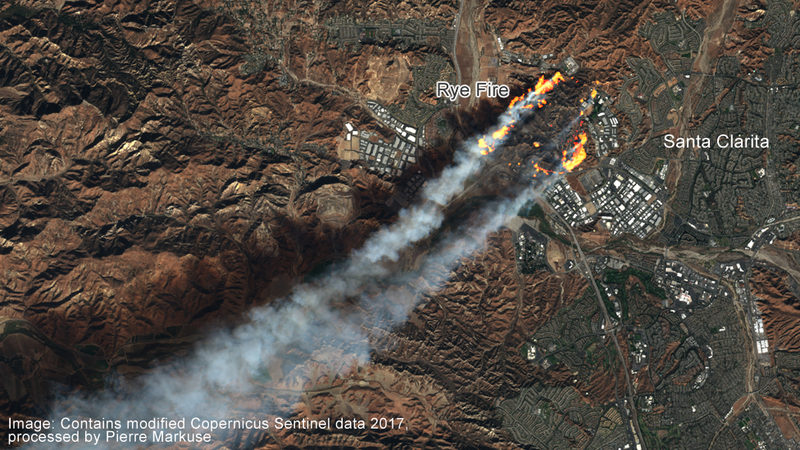 The Rye Fire threatened more than 5,000 homes and structures northwest of Los Angeles near Santa Clarita. It consumed thousands of acres and triggered evacuations of homes and schools. The fire authorities say it is now 25% under control. It has forced hundreds of residents in the wooded hills to evacuate and charred more than 475 acres. North of San Diego, another blaze called the Lilac Fire spread from 10 acres to 4,100 acres in just a few hours. It destroyed 20 structures and prompted evacuations and road closures. A Reuters news agency photographer described propane tanks under houses exploding and sounding like bombs. Californian authorities have issued a purple alert - the highest level warning - amid what it called "extremely critical fire weather". The powerful, desert-heated Santa Ana winds have been fanning the flames.